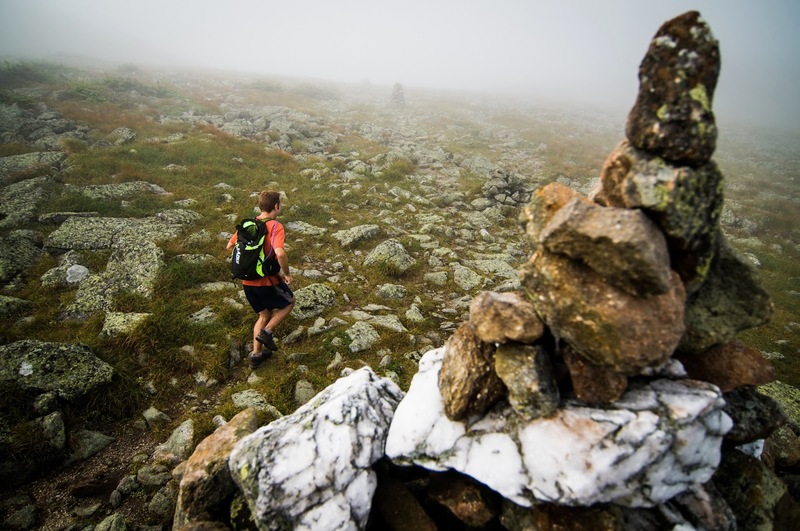 On a summer day, Kevin Tilton runs through the Presidential Range, 20-plus miles across the highest summits of New Hampshire. You Can’t Run That: Trail-running hits the White Mountains. Three Octobers ago, on a beautiful day, New Hampshire writer Doug Mayer was running up Wildcat Mountain’s Polecat Trail in the White Mountains. Suddenly, another runner passed him. That made him gasp from surprise then, but today trail running has hit the Whites full force. Mayer traces the history of this crazy and wonderful sport, from Chris Goetze’s fast run of the brutal Mahoosuc Range in 1958, to Tad Pfeffer’s triple-runs up Mount Washington in the late 1960s, to Mount Washington Road Race winner Rickey Gates, who thought nothing of grabbing a tourist map in the Alps and running for hours. Climbing into Flow: that state in which nothing else seems to matter. Scrambling up the tall columns of rock in the Kasha-Katuwe Tent Rocks National Monument, some 40 miles south of Santa Fe, New Mexico, Christopher Johnson realized he’d climbed with a sense of concentration and appreciation for hours, ending only when he had to leap across a ditch near the top. He was in the state that psychologist Mihaly Csikszentmihalyi named flow. Johnson looked into the Hungarian native’s life and discovered that mountain climbing had been absolutely central to Csikszentmihalyi’s life and ideas. He’d used his idea of flow to get through horrible times in World War II.